Whether you love it or loathe it, grocery shopping is an essential part of everyone's week. Streamlining the process can save you money and minimise the time you spend doing it. If you're searching for ways you can simplify your shopping habits, here are five practises you should adopt. Figure out what your weekly staples are; these are your must-have food items you can mix and match to create various meals. Create a list of staple weekly buys, items you consume regularly and always want in stock. As soon as you run out of something, put it on the list even if it’s not a staple; you can remove these non-essentials after you’ve purchased them. Organise the list by aisle or type, and save it on your phone so you always have it. Creating a digital list on your phone is key, that way you’re unlikely to leave it at home. There are plenty of apps to choose from; I use Google Keep as it's super simple and syncs with all my devices. Working with cookbooks or recipes you’re already familiar with, plan out a menu of meals you’re going to eat for the week. Note down ingredients and shop for only those meals. It takes a little investment to meal plan but it makes the biggest impact when streaming your grocery shopping. It’s worth mentioning most recipes can be adapted if you’re missing an ingredient, avoid unnecessary trips to the shops just to pick it up. The dish might be better with that missing ingredient but it will be absolutely fine without it too. There are apps to help you do this and I've suggested three of my favourite cookbooks if you're searching for inspiration. Check your cupboards and your list for what you need to prevent doubling up on items you already have. Add non-staple items to your list if you need them; these are items you don’t buy use up on a weekly basis but like to have in the cupboards once they run out. Cross out or check off any staple items you don’t need to prevent overbuying. Double checking before you leave will minimise the chances of unnecessary impulse purchases caused by doubt over what’s in your cupboards. If there are grocery items you always need and use, especially if they are non-perishable, consider buying in bulk and automating the process of purchasing them. Items like toilet paper, cleaning supplies, and tinned food are useful items to order online and buy in bulk, saving you time at the store and effort getting them back home. Bulk buying can reduce your grocery costs, however, don’t assume buying in bulk with always save you money and bear in mind it requires storage. Only bulk buy items you need and use regularly, look for the best price to avoid overspending, and consider where to store those items once they are in your home. Not only are reusable bags better for the environment they’re also more reliable. Plastic bags are flimsy and prone to break when laden with heavy food items. Choosing solid reusable bags to take with you will make loading up and carrying your shopping far easier, without fearing they might give up under the weight. If you’re forgetful with taking bags with you, store them in your car and put them back after unloading the shopping; make a habit of putting them in your bag or pockets if you don’t use a car. 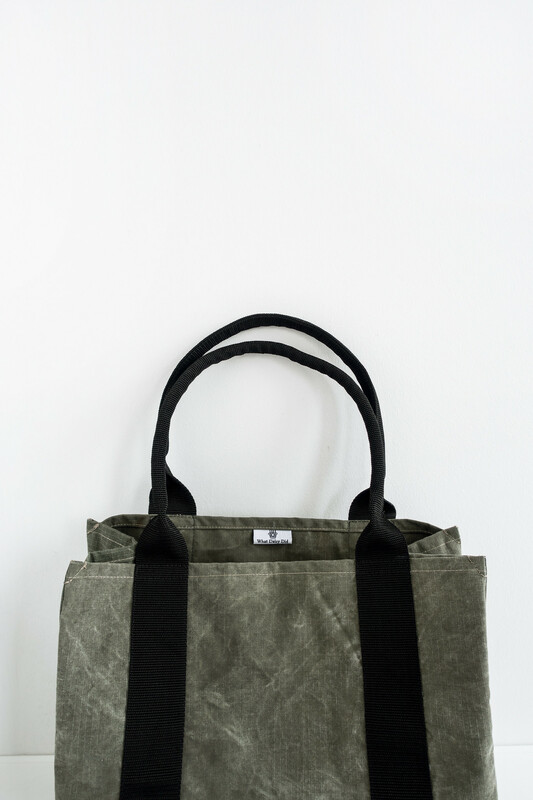 Choose a solid tote, like this hardworking Talsi Tote Bag made from recycled canvas. 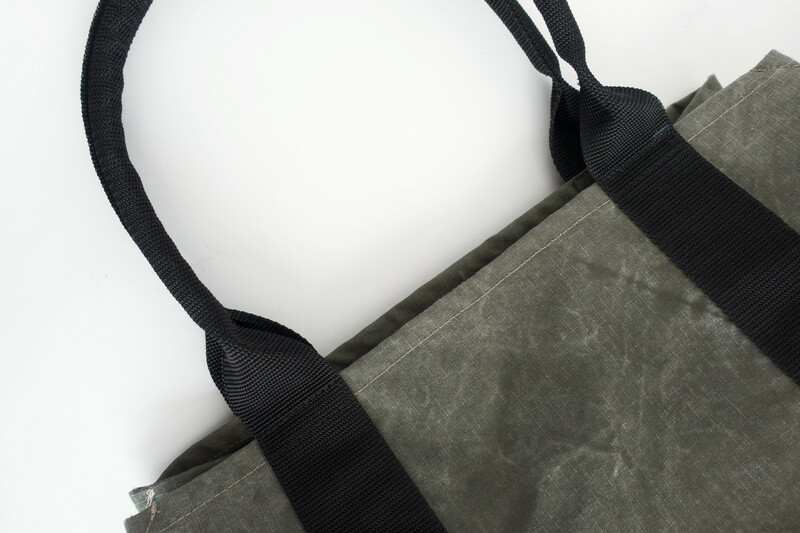 Opting for a good sized tote with strong, reliable fabric makes carrying heavy loads much easier. Nobody should be loading their shopping up into plastic bags anymore.